Drop shipping has become one of the most popular methods of generating sales in the online world. It is used by millions of people all over the globe, and hundreds of thousands of businesses prefer it because of the simplicity that it offers. Compared to other methods of shipping and transporting goods, drop shipping is actually quite different. When a store uses drop shipping to fulfill retail orders, it does not maintain any stock of its goods. Instead, once an order is placed, the store automatically approaches another discrete vendor, buys the product, and has it delivered to the customer. Throughout these steps, the seller usually doesn't have to see or handle the product. The merchant simply acts as a mediator between the two parties, ordering up the products from a supplier and having them delivered to the client. The major distinction between drop shipping and normal shipping practices lies in the fact that the merchant never handles the inventory or has to maintain a stock of products. The merchant simply purchases the inventory through another company, who in most cases is a wholesale vendor or a manufacturer, in order to fulfill the orders. For many companies that sell their products online, eBay is one of the most popular places to sell their products. eBay is an online marketplace that features millions of goods from virtually all over the world, and it is not be a wise move on your part to ignore eBay as a suitable platform for selling goods. If you are running a drop-shipping business, you should definitely consider setting up a store on eBay. However, you will also need to use viable drop shipping tools with your eBay account so that you can automate the sales without any individual input. 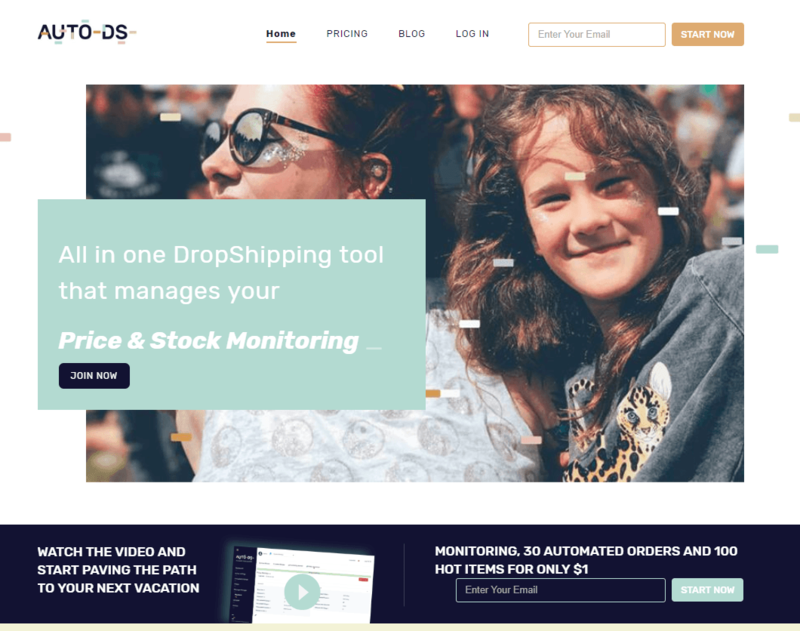 AutoDS is a new all-in-one dropshipping tool that manages your dropshipping business, imports your product listings to your eBay store in a simple and automated way, without special hassle. The platform was built by experienced dropshippers for their own personal use. Once they realized the tool could save other dropshippers a lot of time, and make their daily work easier, they decided to open it for everyone. Now they have more than 7,000 stores connected to AutoDS. 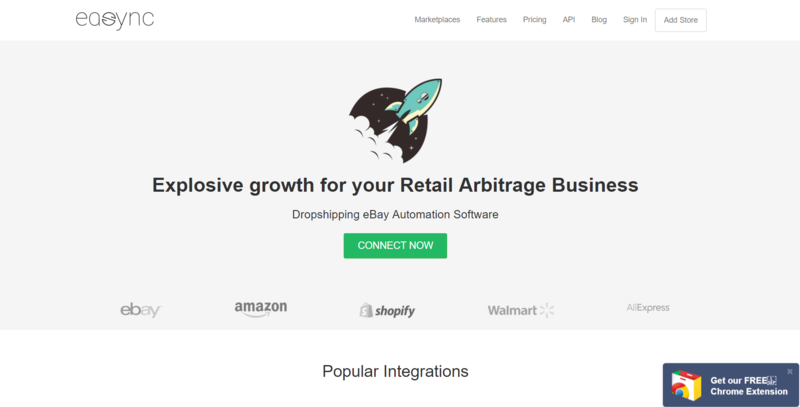 By using AutoDS, you can sell your products globally using the dropshipping method thanks to their integration with the biggest international retail suppliers like Aliexpress, Amazon, Banggood, Walmart and Home Depot. The main benefits that you will be able to find in the AutoDS are price & stock monitoring, a full ecosystem for customer service including retention messages to your buyers, cases handling and returns management. Among special AutoDS features, you can use AutoDS Finder - a premium unique feature which offers an advanced system that scans more than 40K eBay dropshippers every day and saving their best products to AutoDS database. It gives the option to get all these hot selling products that sold 3, 5 or 8 times during the last month. This feature increases sales in a significant way and helps to push the store performance and save a lot of time on market research and products sourcing. The great thing about it is that once you join AutoDS you will get 100 hot selling products from the most profitable category, 100 products price & stock monitoring and 30 automated orders for the price of $1. 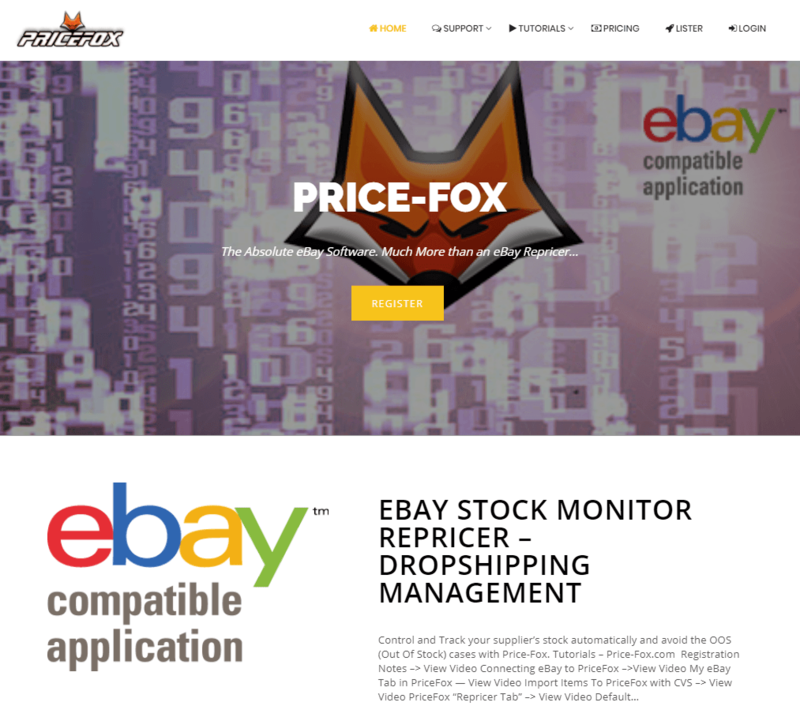 Price-Fox claims to be the best drop-shipping tool on eBay. It calls itself a monitor repricer, which automatically keeps a check on your supplier’s stock and pricing, and helps you avoid the dreaded “Out of Stock” message. This is essential for drop-shipping management, as it will prevent you from losing money. Secondly, the program offers safe repricing, which means that your inventory and prices are adjusted according to how many products your supplier has in stock. You can even edit or revise your prices through Price-Fox without needing to visit eBay at all. It features built-in auto-ordering capability, and Price-Fox is also supported by some of the biggest stores in the world, including eBay, Amazon, Walmart.com, Sears.com, Kmart.com, and many others. The program has a built-in setup that you can use to input images and descriptions. Once you have added details from the supplier’s database, the program will automatically check for the lowest prices available in the database and will then update your pricing all around. Furthermore, orders placed through your store on eBay will automatically be updated on your EASYNC page so you can keep track of your revenue generated and daily order count. These are the best tools that you can use to streamline your drop-shipping business! DSM TOOL, which stands for drop shipping management tool, is another very popular program used to make sales on platforms like eBay. The program is designed to simplify the process of listing goods online on eBay and repricing them accordingly. The program comes with a smart lister, which allows you to list a product from numerous sources at the touch of a button. The program also offers a competitor analysis tool, along with an image editor and other features. Apart from that, the program also offers 50+ templates that you can choose from. DSM TOOL also offers smart repricing and store information for businesses so that they can maintain a high seller ranking with quantities and pricing from numerous sources. The program puts a lot of emphasis on statistics and analyzing store performance. With DSM TOOL, you will benefit from auto ordering and updates for tracking numbers, along with an advanced item search facility. On top of that, there’s also a smart CRM for managing relationships with clients who use drop shipping. Another popular program utilized by companies that use drop shipping is Black Lister. 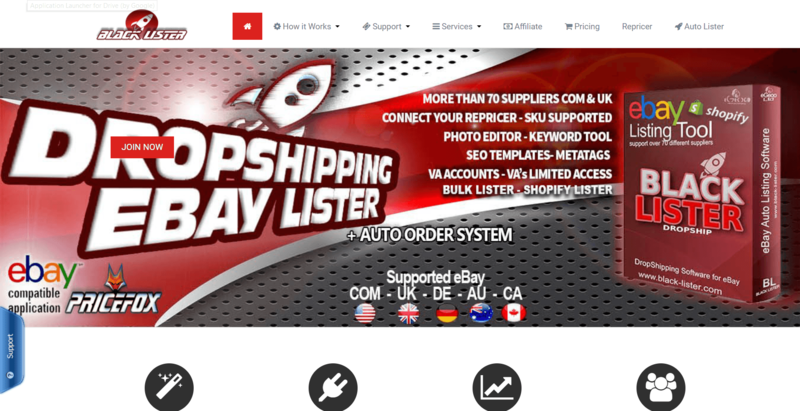 Black Lister is a drop-shipping program for listing products on eBay. It comes with a keyword tool and a photo editor, and supports listing via SKUs. You can even choose from multiple meta tags as well as SEO templates. With the help of this program, you can easily list and order numerous products on your eBay page, and can also use it as a multi-repricer. Apart from that, the program allows you to put up SEO listings, and even helps you tinker with the settings. It also comes with a virtual assistant that you can use to keep in touch with your customers. The good thing about this program is that you can use it to customize your lister settings on eBay, and can even use it to optimize your SEO on multiple listings. 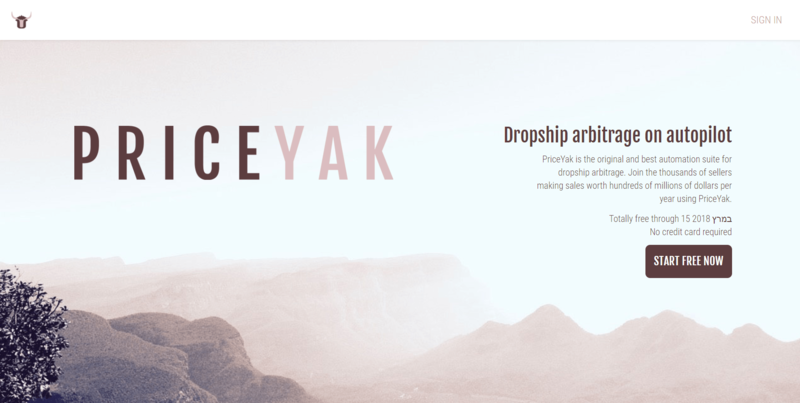 One of the most popular tools used by drop-shipping companies nowadays is PriceYak. It offers you the option to reprice your products and also automatically updates the order fulfillment procedure. You can also create thousands of beautiful listings within seconds simply by inputting the product ID. The program offers advanced filtering options and is completely free to use. You can also use YakPal, which comes with the program, to track listings from retailers. The program also offers listing control and gives you the option to fully customize your listings using different templates. On top of that, listing creation is completely free. EASYNC is an eBay drop shipping automation software program that is designed for retail arbitrage businesses. It can be integrated with many of the leading stores in the world, including eBay and Amazon, giving you a plethora of options that you can use to track prices, product availability, shipping dates, and more. No matter which drop shipping tool you are going to use - remember that you are not the only one using it. In order to get yourself different from others and get better exposure on ebay search results - I suggest you change your ebay item titles. 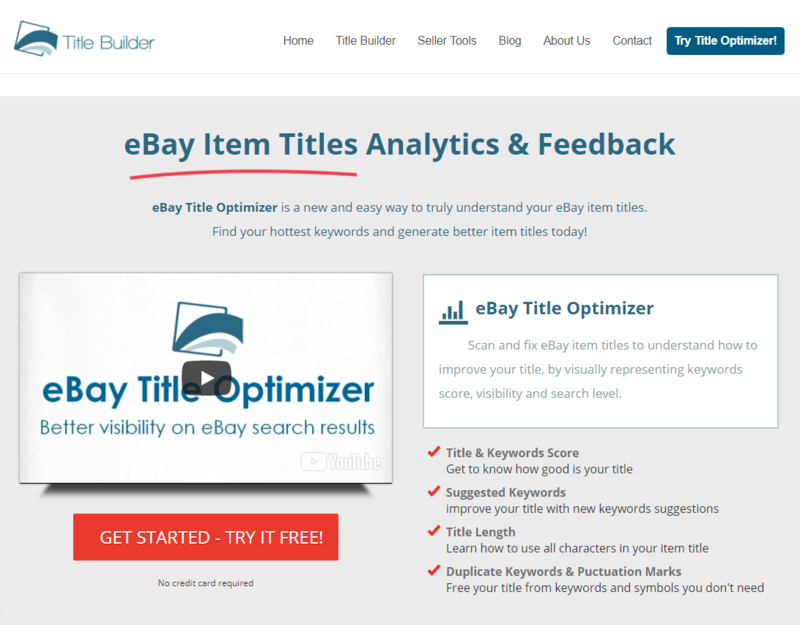 A tool that can help you achieve best results is Tilte Optimizer which will scan your ebay account, and send you a full optimization report on how to change your ebay titles and get better visibility in ebay search results. Did we forget any drop shipping tool? 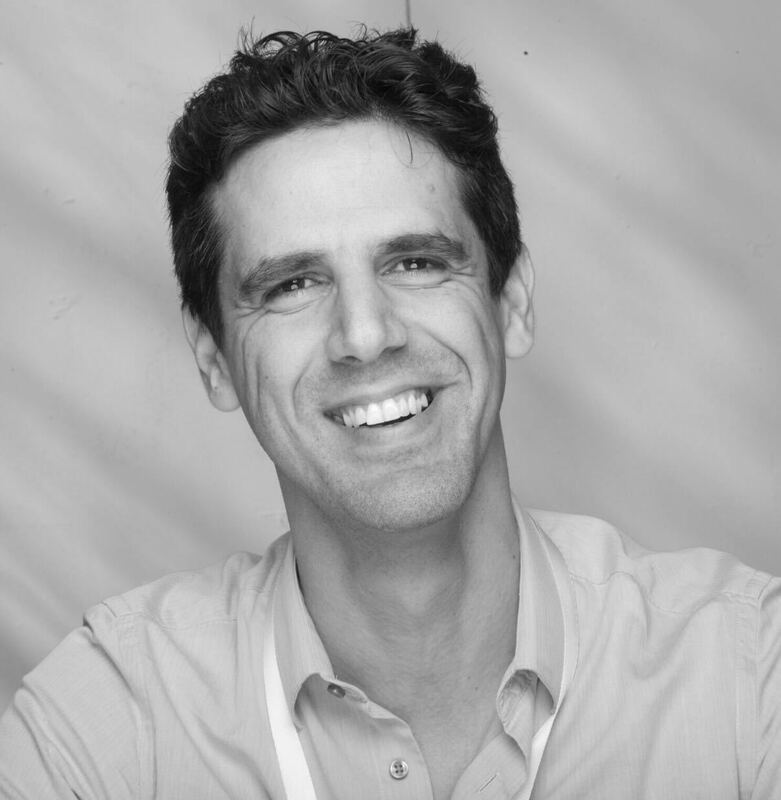 Co-founder and CEO of Title-Builder. Started my journey in eCommerce back in 2006. Today, helping ebay sellers optimizing their ebay listings.